In 1968, Stanley Kubrick completed and released his magnum opus motion picture 2001: A Space Odyssey; a time that was also tremendously important in the formation of the psychoanalytic theory of Jacques Lacan. Bringing these figures together, Bristow offers a study that goes beyond, as the film did. He extends Lacan's late topological insights, delves into conceptualisations of desire, in G. W. F.… Hegel, Alexandre Kojeve, and Lacan himself, and deals with the major themes of cuts (filmic and psychoanalytic); space; silence; surreality; and 'das Ding', in relation to the movie's enigmatic monolith. 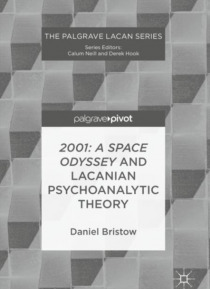 This book is a tour de force of psychoanalytic theory and space odyssey that will appeal to academics and practitioners of psychoanalysis and film studies, as well as to any fan of Kubrick's work.